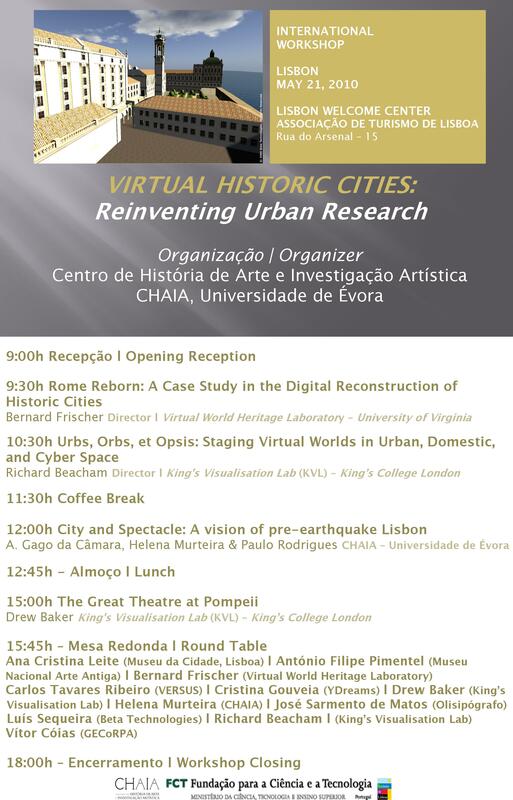 Home / News / International Workshop on "Virtual Historic Cities: Reinventing Urban Research"
The City and Spectacle: a vision of pre-earthquake Lisbon project, a virtual recreation of the city of Lisbon before the 1755 earthquake, using Second Life® technology, is a pioneer project in Portugal promoted by the Centro de História de Arte e Investigação Artística da Universidade de Évora (CHAIA), Beta Technologies, and King’s Visualisation Lab (KVL), King’s College London. 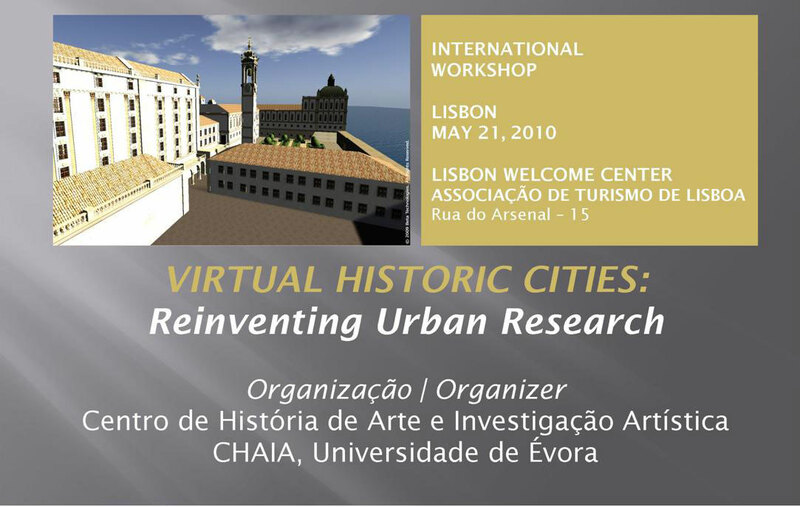 Virtual recreation of historical cities is an emergent area in historical research, allowing an innovative approach to the study and representation of cultural heritage. Currently, virtual worlds replace the classic instruments of 3D modelling, allowing users to interact in a common environment where model building is easy. These characteristics foster coordination between researchers when confirming historical hypotheses, allowing the object of study to be dynamically changed. The application of the virtual language to historical research thus translates into a laboratory model that enables and expands the traditional context of historical research. This new approach allows testing, in an interactive three-dimensional representation, of a long research path in city history, and provides, to an audience simultaneously specialised and enlarged, an immersive experience in a lost urban reality. For more informations, please contact Paulo Rodrigues via e-mail [email protected].